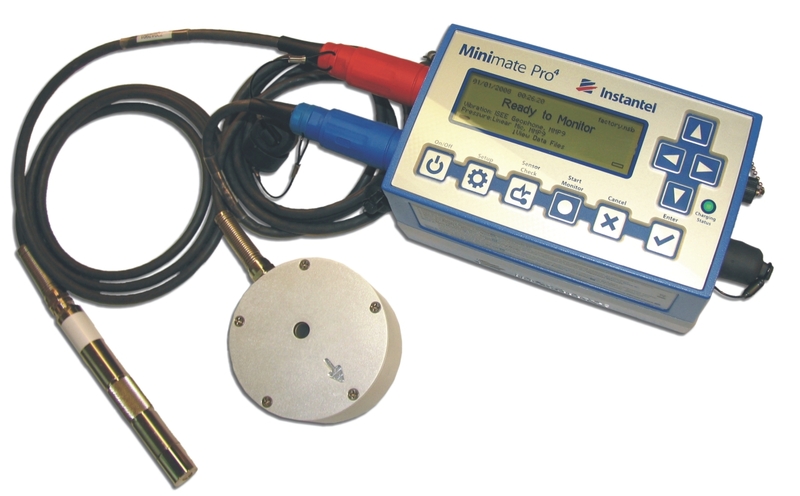 The Series IV Minimate Pro4 ™ vibration and overpressure monitor offer advanced monitoring technology with unequalled durability. The Minimate Pro4 ™ vibration, overpressure and sound monitors are built on the success of the Minimate® Series III monitoring systems. The Minimate Pro4 offers 64MBs of memory, improved ruggedness, including a metal case and connectors, and water resistance. For reliable compliance monitoring, connect an ISEE or DIN Triaxial Geophone and an ISEE Linear Microphone or optional Sound Microphone. Sample rates from 512 to 65,536 S/s per channel,independent of record times. Instantel Histogram Combo™ mode allows capturing thousands of full waveform records while simultaneously recording in histogram mode. Optional Sound Microphone available for sound monitoring. Combine an ISEE or DIN Triaxial Geophone with the Sound Microphone to monitor two types of event data.